This large 2 storey cottage has a large loft with an ensuite bath and a bedroom on the main level with a full bath. Hardwood floors throughout, large sofa, futon, and a comfy hide a bed in the large living area. the large kitchen has lots of cupboard space with dishes, utensils, pots and pans and a dishwasher. the large deck has a barbeque, comfy lawn chairs and a canopy that shades you from the sun. Cottage is close to the village of Pugwash, fossil cliffs and museum in Joggins, and the Ann Murray Museum and Miners Museum in Springhill. 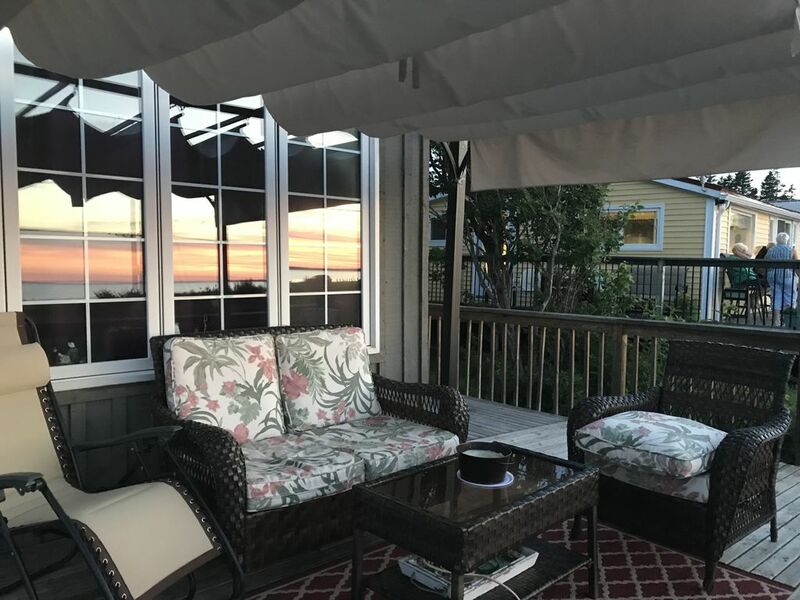 Waterfront cottage is located on Heather Beach with a beautiful, sandy beach and the warmest waters north of the Carolinas. The beach is supervised by lifeguards during the month of July and August and Heather Beach is located within a short driving distance to the Northumberland Links on the Gulf Shore in Pugwash, a 1 hour drive to Prince Edward Island and Moncton, NB, and a 2 hour drive to Halifax, NS. Damage/Cleaning deposit required in the amount of $200.00. This will be returned if no damage and cottage is clean up departure. Tenants will be charged $75.00 for cleaning if cottage is not clean. We had a great stay at this cottage. It was, relaxing, comfortable, clean and well equipped. From a grandparent's perspective, the cottage also has a private backyard that would be great for young children. The veranda that overlooks Heather Beach, has comfy furniture for reading, relaxing and viewing the ocean. The ocean in this area is very warm. We would definitely go back.